I haven’t been around since late May due to a big move back to Toronto, where I will settle down to finish my PhD thesis. Every time an opportunity presented itself to write an entry, I’d get distracted by something related to the move. So now that my wife and I are settled, unpacked, and enjoying life back in the city of my birth, I can return to this blog. One of the advantages of living in a city like Toronto is its movie culture. 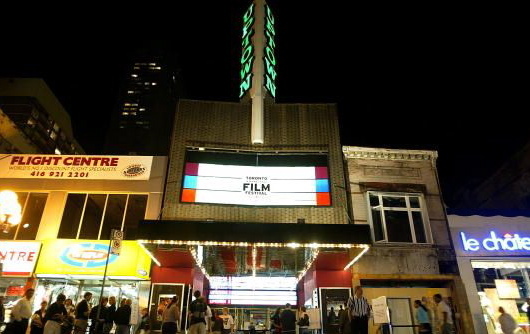 Aside from the Toronto International Film Festival, which has grown in size and reputation over the last quarter century, Toronto boasts one of North America’s most avid and discerning movie audiences. Even though many of the city’s landmark theaters have been demolished and replaced by glossy multiplexes there still remains a rich and vibrant audience appreciation for the movies. 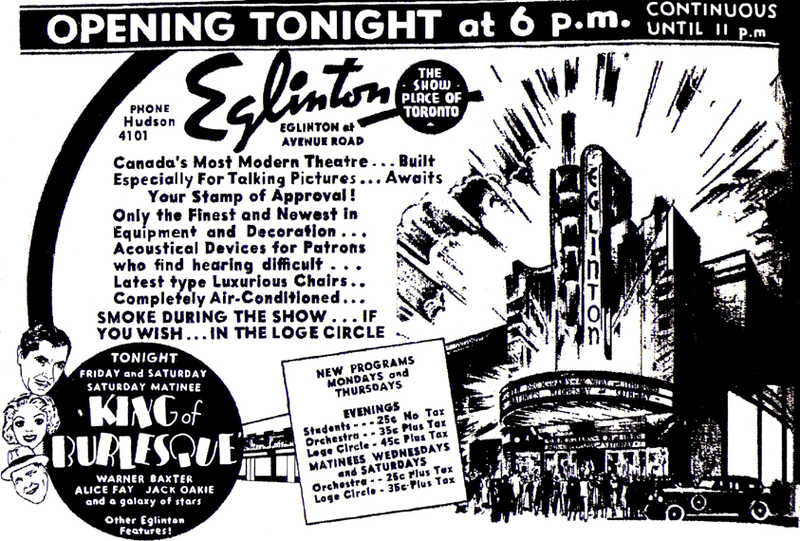 I can remember weekends at the Eglinton Theater, one of the vestiges of the golden age of movie-going, with only one screen and art deco trimmings. It boasted an enormous screen and equally big sound. In many ways, it represented the “event” theater, where I saw contemporary fare like Titanic and classics like Lawrence of Arabia and The Godfather. My wife and I both have fond memories of the Uptown, situated at Yonge Street and Bloor Street, which for my money had the best sound system in the city. I never felt the impact of low-frequency bass as much as when I experienced Twister there. The Hyland Theater and the York Theater were other large-screen hangouts that helped to facilitate my cinema education. As a connoisseur of screen size, projection accuracy, and sound, I was (and continue to be) drawn to the theater that makes the effort to get it right. Our last five years in Ottawa certainly tested our ability to find a great theater. We never found a spot that was technically proficient and garnered enthusiastic audiences. We were often plagued by fuzzy (out of focus) projection, inaccurate masking, and atrocious sound. 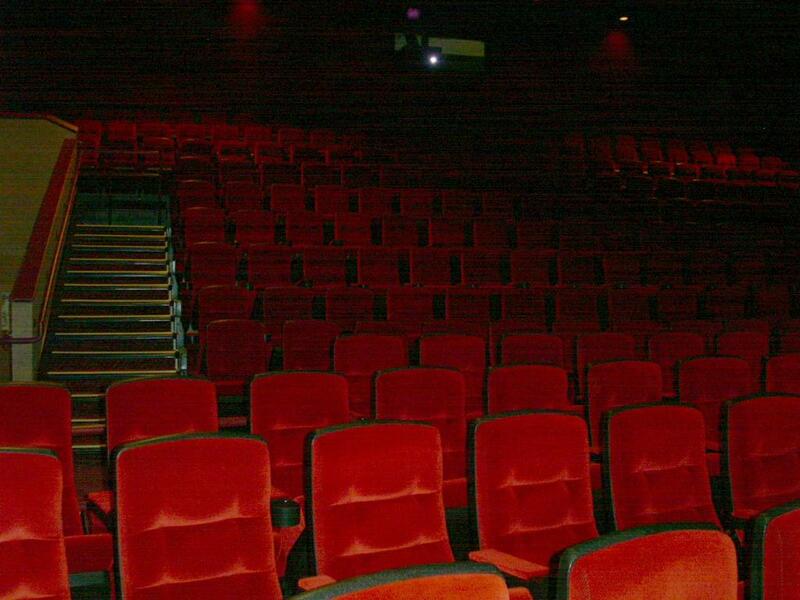 I also never got the impression that Ottawa audiences really enjoyed being at the movies. Perhaps the only time I felt part of collective whole was during the opening day screening of Revenge of the Sith with a room full of Star Wars fans. Maybe I’m being too hard on an entire city’s moviegoing audience, but I never felt the love and awe that I encountered so often in Toronto. Let me give you an example. I’ve told this story many times, but it is worth repeating here.Â On the opening night of Titanic way back in 1997 the Eglinton theater was packed–a full house. On initial viewing the film was pretty impressive and I was genuinely moved, but I did not expect the audience to be totally captivated. To my surprise, as the final credits rolled, the audience erupted with applause, as if James Cameron himself was in attendance. Then, the ovation faded and the entire audience remained silent in their seats until the final credit rolled by. Then, as the theater curtains closed, they applauded again. In the years that have passed since that night, I find the audience’s response more moving than the film itself. I have yet to experience that again. But this doesn’t seem to be an uncommon Toronto audience trait. I’ve always loved that Toronto audiences have a tendency to clap at the end of a movie, and many stay until the final credits have rolled. Elsewhere, I’ve been given evil stares by maintenance workers who want me to exit so they can sweep up. Some of my most memorable Toronto film experiences have been at comedies, where the communal aspect of movie-going is never more pronounced. Ata Cumberland theatrescreening of Wag the Dog, the audience laughed in unison, which undoubtedly made the film even funnier. To be fair, I also have had several unpleasant experiences at Toronto theaters. They mostly consist of noisy and rude patrons, people who bring their own food and drinks in noisy grocery bags, and couples who make out during Schindler’s List. During a screening of Saving Private Ryan, someone snickered when the soldier picked up his own arm on the Normandy beach, and an older gentleman yelled out, “Think that’s funny?” He probably didn’t after that. By the turn of the 21st century many of the grand old theaters were being torn down or converted to “event centers,” host to wedding receptions and bar mitzvahs. In early 2002, I wrote an article for my college newspaper at the University of Toronto, the Innis Herald, urging the community to stop the Eglinton from closing its doors. The city demanded that the theater be made accessible to wheelchairs, but it didn’t have the financial resources to comply, so it closed. This was all happening around the time that Famous Players introduced the SilverCity brand of multiplexes, which have since reshaped the theater atmosphere in Toronto and across Ontario, including Ottawa. 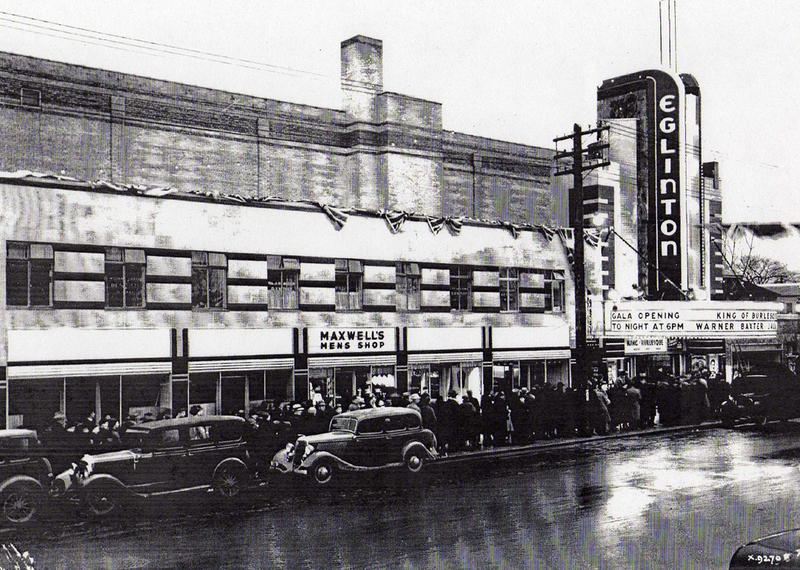 Gone are the stand-alones like the Eglinton and the early multiplexes like the Hyland and Uptown. Any child of the 80s in Toronto remembers the pitiful Eaton Centre theaters, which boasted screens no larger than your average living room television. It’s gone now, thankfully. At the same time, the Cumberland and Carlton survive, mostly to serve independent “art house” fare. There’s hope, though, in this age of the impersonal multiplex. Upon my return to Toronto I was immediately reminded of the kind of audiences that make movie-going in this city so special. At a mid-day screening of Wall-E at a new uber-plex at Yonge and Dundas there was laughter, cheering, and applause at the end. 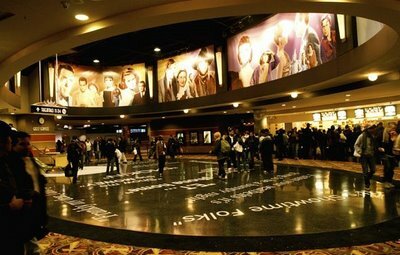 The AMC theater, which is adorned with movie quotes in the marble floor and director profiles along the walls, is a gauche reminder of the 21st century movie house, but with the slick gloss is the attention to technology and technical accuracy. My main motivation for trying the downtown theater was its advertisement of digital projection in all auditoriums. Even though most Pixar films look great in any format, I was impressed with how sharp and glitch-free Wall-E looked and sounded. So it would appear that even though the theaters of my youth have all but disappeared, there is hope on the horizon. High quality cinemas with state-of-the-art facilities are a welcome addition to the city’s cinesphere. Of course, as a student of film technology, I might be biased towards the new and shiny. While the multiplex remains an impersonal behemoth, the audience can make the difference between seeing a movie and experiencing one. What are your own favorite movie theater experiences?